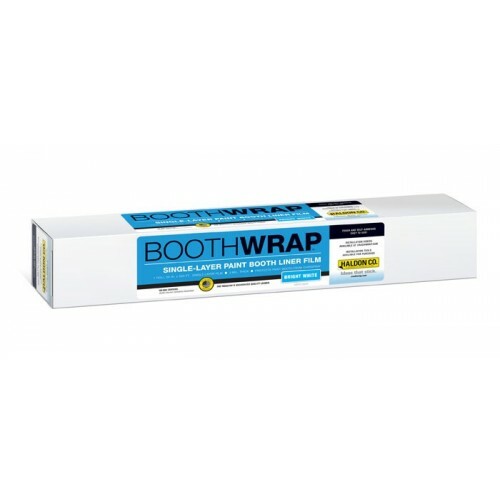 BoothWrap® Single Layer is a protection film layer that easily keeps your Booth clean without water. The light tack adhesive backing prevents dust from accumulating behind the plastic, yet is easily removed without adhesive transferring to the sidewalls. Booth Wrap® Single Layer is a protection film layer that easily keeps your Booth clean without water. The light tack adhesive backing prevents dust from accumulating behind the plastic, yet is easily removed without adhesive transferring to the sidewalls. Developed for and by professionals.